Originally located in Sector 51, Noida, Quesa Lounge has moved to Sector 18, Noida, one of the biggest eating hubs in the city. The look and feel of the restaurant too has increased considerably with the renovation. 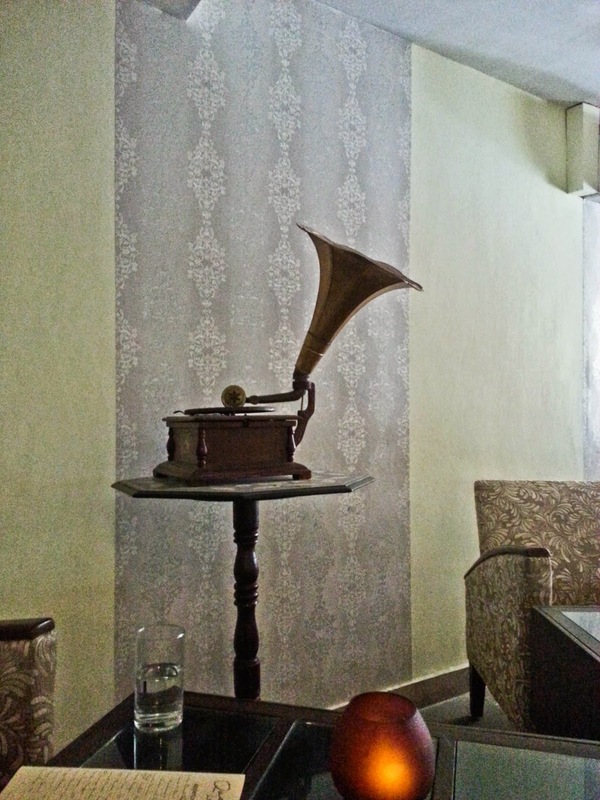 The old gramophone really brings in a touch of royalty in the restaurant's decor. The Lounge is two-floored and neatly decorated with a regal setting. There are gramophones, old telephones and bulbs in cut wine bottles hanging from the ceiling as a part of the design. 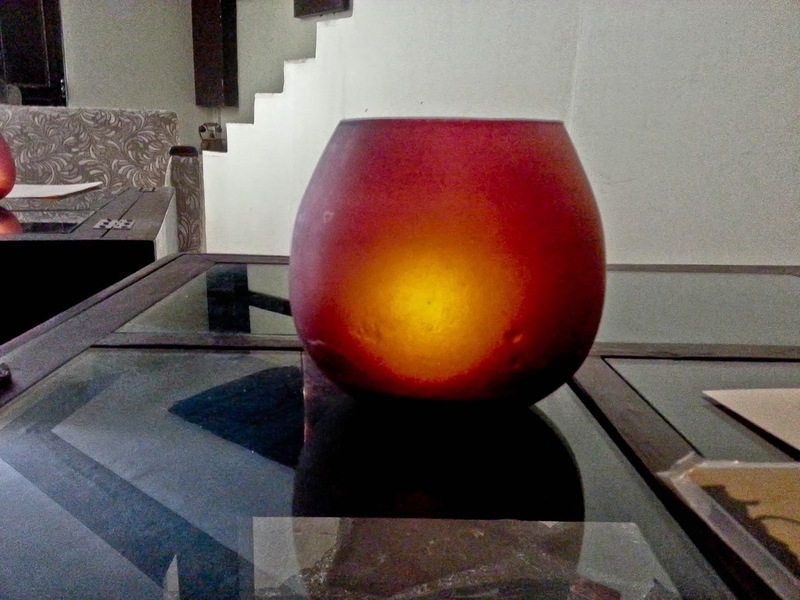 On every table there is a small bowl with flickering lights which adds to the ambience. 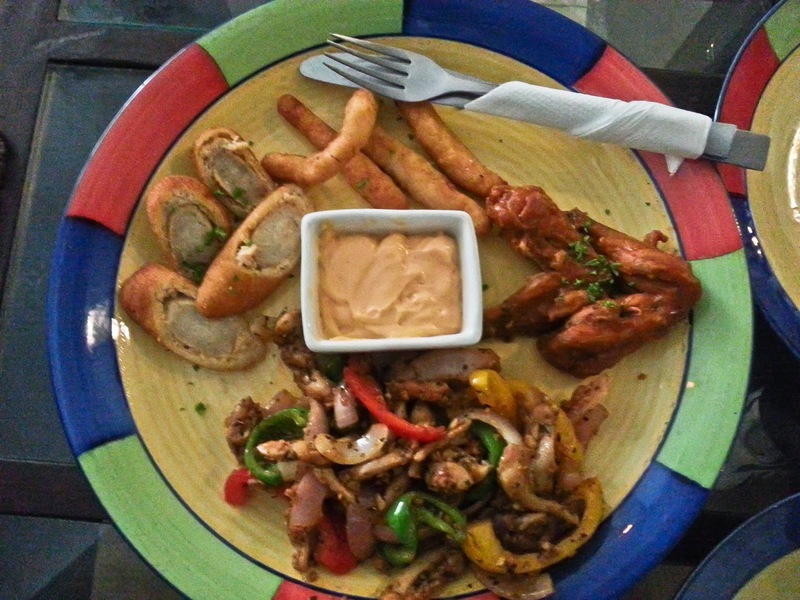 Like any lounge, the music at Quesa is loud and they generally play English songs with a touch of electro and trance. Their menu card is neatly designed and looks as if it was hand-written. 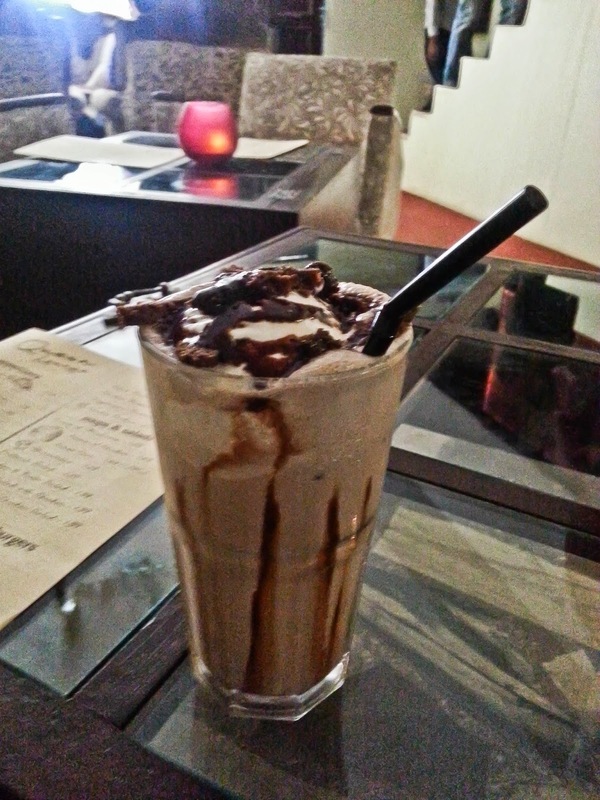 Though Quesa specializes in continental cuisine, their preparations of Oreo Shake and Cookie Monster have generated a lot of buzz in and around Noida. 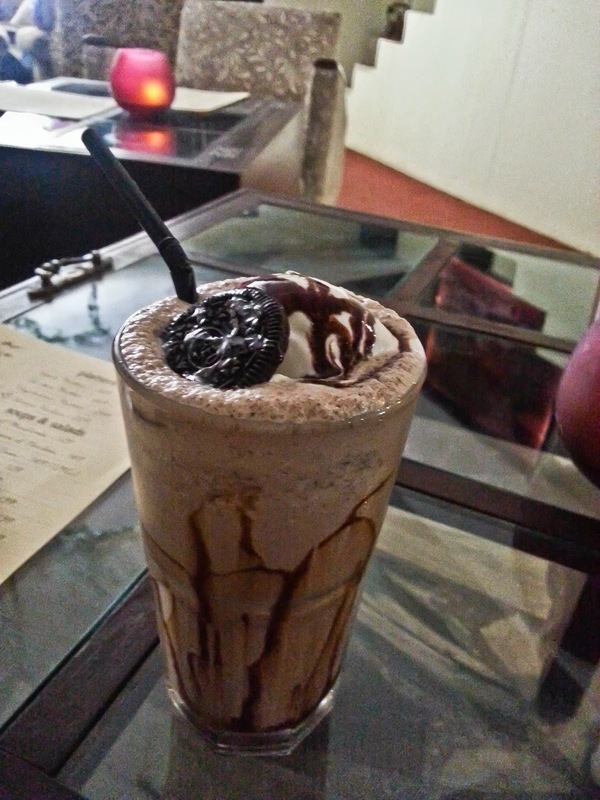 Thick, creamy shakes with moist Oreos give a chocolaty and a biscuity taste, unique to the Lounge’s preparation. The Cookie Monster is a cousin of the Oreo Shake with chocolate brownies giving a less sweet but a much more fascinating taste. Priced modestly, their Chicken Platter includes multiple servings of their best appetizers – Chicken Fingers, Grilled Chicken Strips, Sausage Wonder and BBQ Chicken Wings. The BBQ Chicken Wings was the best of the lot; the wings were tangy and sweetish but there was a subtle spice which hit you on the way down. The Sausage Wonder too was something I hadn't tasted before, diagonally cut chicken sausages fried in spicy batter and served with a honey mustard and mayo based dip. 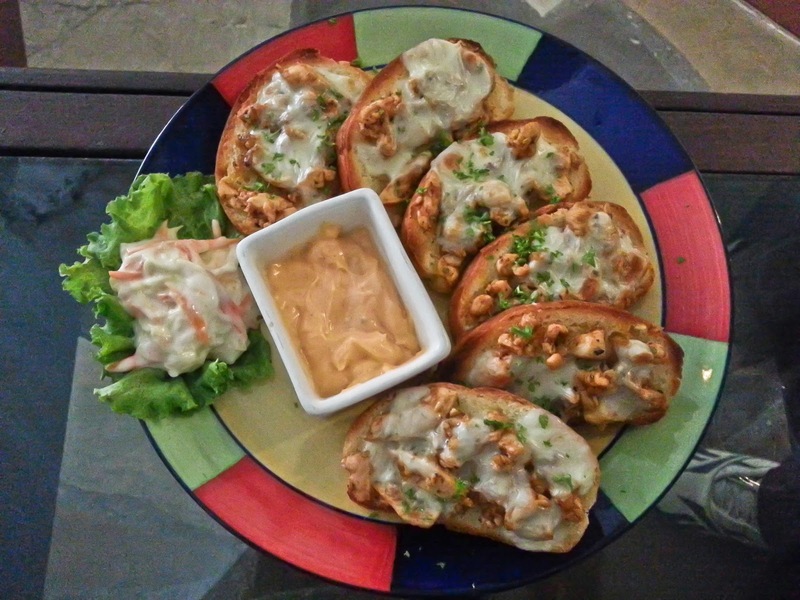 The Garlic Bread with Cheese and Chicken is another dish which is fabulous here. Dressed like a small mini pizza, the garlic bread is toasted with cheese and chicken to serve as a good accompaniment to the fresh soda mocktails that they offer. Their garlic bread actually has the garlic essence which is majorly missing in the ones served by the big pizza brands like Dominos and Pizza Hut. For the main course, we ordered a non-vegetarian Mexican Enchilada and a Quesa Chef's Special - Grilled Fish in Lemon Butter Sauce. The Mexican Enchilada was the first to come. 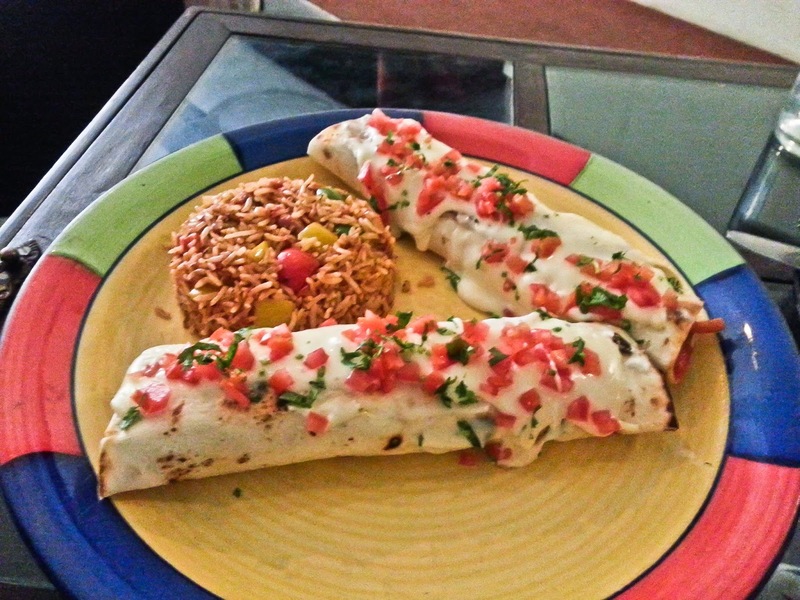 There were two massive enchiladas served along with spicy kidney beans and rice. The insides of the enchiladas were filled with chunks of chicken, capsicum, beans and mushrooms and there was a layer of molten cheese with coriander and tomato used on top for bringing a creamy flavor to the dish. 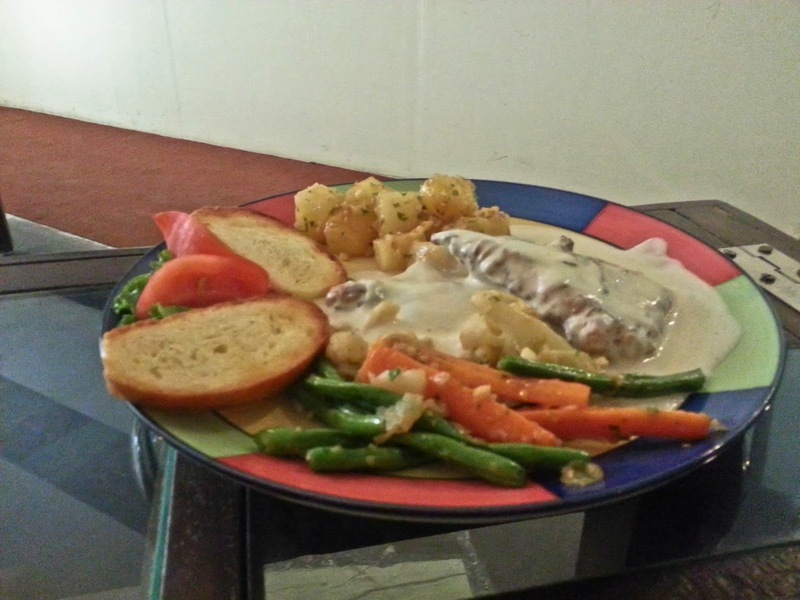 The Grilled Fish with Lemon Butter Sauce was served along with beans, garlic fried potatoes and bread. The garlic fried potatoes was a simple yet heavy side dish made by pan-frying potatoes with a garlic essence. It went extremely well with the meunière sauce (made of lemon, butter and parsley) in which the fish was marinated. 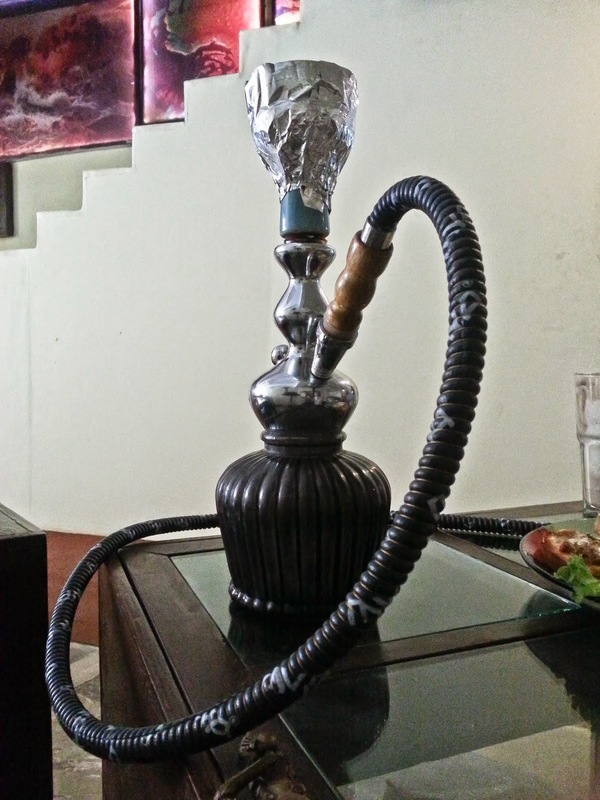 For the sheesha lovers, they also have a pretty detailed hookah menu. Quesa Special is the most famous one; it is pretty strong and gives combined taste of paan rasna and mint as the major flavours.